Invesitigation of Pattern Spreading Approaches Used In Construction of "Synthetic Large Data"
The performance of deep learning approaches is directly proportional to the size of the data set used in the training phase. For this reason, large data sets are currently being built to solve problems such as image classification, segmentation or object capture. For example Alexnet database 1.2M image and 1K categorie; Imagenet, 15M image and 22K categorie; Yahoo Flickr has 100M image and 2K categorization. However, manual assignment of imagery to categories is undoubtedly the greatest disadvantage of deep learning approaches. Categorizing images (labeling) is a very troublesome and error-prone process. In order to remove the possibility of this difficulty and error, it is suggested to use data sets containing synthetic images instead of real images. Synthetic image production includes phases of pattern and pattern production. It is possible to synthetically produce an object by constructing shape and pattern descriptive models. This study covers pattern descriptive methods (Patch, Pixel, Pyramid). These methods are aimed at generating a high-dimensional image by spreading the pattern out of a small pattern information obtained from a real image. As a result of comparison with accuracy, time and noise sensitivity criteria, the pach-based method is considered to be the most suitable pattern spreading method. Derin öğrenme yaklaşımlarının performansı, eğitim aşamasında kullanılan veri kümesinin büyüklüğü ile doğru orantılıdır. Bu nedenle günümüzde imge sınıflandırma, bölütleme veya nesne yakalama gibi problemlerin çözümü için büyük veri kümeleri inşa edilmektedir. Örneğin Alexnet veritabanı 1.2M imge ve 1K kategoriye; Imagenet, 15M imge ve 22K kategoriye; Yahoo Flickr, 100M imge ve 2K kategoriye sahiptir. Bu veri kümeleriyle eğitilen derin ağların doğruluk oranı oldukça yüksektir. Ancak imgeleri kategorilere atama işleminin manuel yapılması, hiç şüphesiz derin öğrenme yaklaşımlarının en büyük dezavantajıdır. İmgeleri kategorize etme (etiketleme), oldukça zahmetli ve hata eğilimi yüksek bir işlemdir. Bu zorluğu ve hata ihtimalini kaldırılabilmek için gerçek imgeler yerine, sentetik imgeleri içeren veri kümelerinin kullanımı önerilmektedir. Sentetik imge üretimi, şekil ve desen üretimi aşamalarını içermektedir. Bir nesnenin sentetik olarak üretilebilmesi şekil ve desen tanımlayıcı modellerin inşasıyla mümkündür. Bu çalışma, desen tanımlayıcı yöntemleri (Parça, Piksel, Piramit) kapsamaktadır. Bu yöntemler, gerçek bir imgeden alınan küçük bir desen bilgisinden yola çıkarak deseni yayma ve yüksek boyutlu imge üretmeyi amaçlamaktadır. Doğruluk, zaman ve gürültü duyarlılığı kıstaslarıyla yapılan kıyaslama sonucunda parça tabanlı yöntemin en elverişli desen yayma yöntemi olduğu kanaatine varılmıştır. Pu Y, Yuan X, Stevens A, Li C, Carin L. “A Deep Generative Deconvolutional Image Model”. Appearing in Proceedings of the 19th International Conference on Artificial Intelligence and Statistics, Cadiz, Spain, 7-11 May 2016. Zeiler M D, Fergus R. Visualizing and Understanding Convolutional Networks. 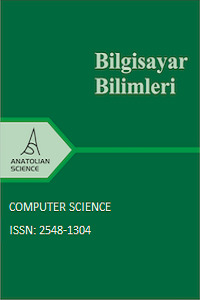 Editors: Fleet D, Pajdla T, Schiele B, Tuytelaars T. Computer Vision – ECCV 2014, 818–833, Springer, Berlin, Germany 2014. Ergen B, Baykara M. “Texture based feature extraction methods for content based medical image retrieval systems”. Bio-Medical Materials and Engineering, 24(2014):3055-3062, 2014. Celaya-Padilla J M, Galvan T C E , Delgado C J R , Galvan-Tejada I, Sandoval E I. “Multi-seed texture synthesis to fast image patching”. Procedia Engineering, 35, 210–216, 2012. Wei L-Y, Lefebvre S, Kwatra V, Turk G. “State of the Art in Example-based Texture Synthesis”. Inria Headquarters and research centres, Rocquencourt , France, State Art Report, 93–117, 2009. Efros A A, Leung T K., “Texture synthesis by non-parametric sampling,” Proc. Seventh IEEE Int. Conf. on Comput. Vis., Corfu, Greece, 20-27 September 1999. Shah R. “Texture Synthesis”. http://rajvishah.weebly.com/uploads/6/3/0/9/6309814/texture_synthesis_final_report.pdf .(12.10.2017). Hisham M B, Yaakob S N, Raof R A A, Nazren A B A, Wafi N M. “Template Matching using Sum of Squared Difference and Normalized Cross Correlation”. 2015 IEEE Student Conference on Research Development (SCOReD), Kuala Lumpur, Malaysia, 13-14 Dec. 2015. Liang L I N, Liu C E, Xu Y, Guo B. “Real-Time Texture Synthesis by Patch-Based Sampling”. ACM Transactions on Graphics, 20(3), 127–150, 2001. Malm P, Brun A, Bengtsson E. “Simulation of bright-field microscopy images depicting pap-smear specimen”. Cytometry. Part A, 87(3), 212–226, 2015. Vinod Kumar R S, Arivazhagan S. “Adaptive Patch Based Texture Synthesis Using Wavelet”. 2011 International Conference on Signal Processing, Communication, Computing and Networking Technologies, Thuckafay, India ,21-22 July 2011. Efros A A, Freeman W T. “Image quilting for texture synthesis and transfer”. Proc. 28th Annu. Conf. Comput. Graph. Interact. Tech. - SIGGRAPH ’01, Los Angeles, CA, USA, 12-17 August 2001. Heeger D J, Bergen J R. “Pyramid-based texture analysis/synthesis”. Proceedings Book of International Conference on Image Processing, Washington, DC, USA, 23-26 Oct. 1995. De Ville D V, Guerquin-Kern M, Unser M. “Pyramid-based texture synthesis using local orientation and multidimensional histogram matching”. SPIE Optical Engineering & Applications, San Diego, California, USA, 4 September 2009. Wang Z, Bovik A C, Sheikh H R, Simoncelli E P. “Image quality assessment: From error visibility to structural similarity”. IEEE Transactions on Image Processing, 13(4), 600–612, 2004. ISNAD ÇELİK, Gaffari , TALU, Muhammed Fatih . "“Sentetik Büyük Veri” İnşasında Kullanılan Desen Yayma Yaklaşımlarının İncelenmesi". Anatolian Science - Bilgisayar Bilimleri Dergisi 3 / 2 (September 2018): 24-34.